Google's Hangouts has always existed as this weirdly nebulous platform that's not quite on the level of an iMessage or WhatsApp. It's easy to use when communicating with other Google users, but it has always seemed lacking, like there was never a clear focus. It got better when Hangout conversations were merged with SMS, but it sounds like that feature will actually get stripped from the service in a future update. According to Phandroid, sources close to Google's plans say the company is going to remove SMS/MMS from Hangouts altogether, though the reason why is unknown. 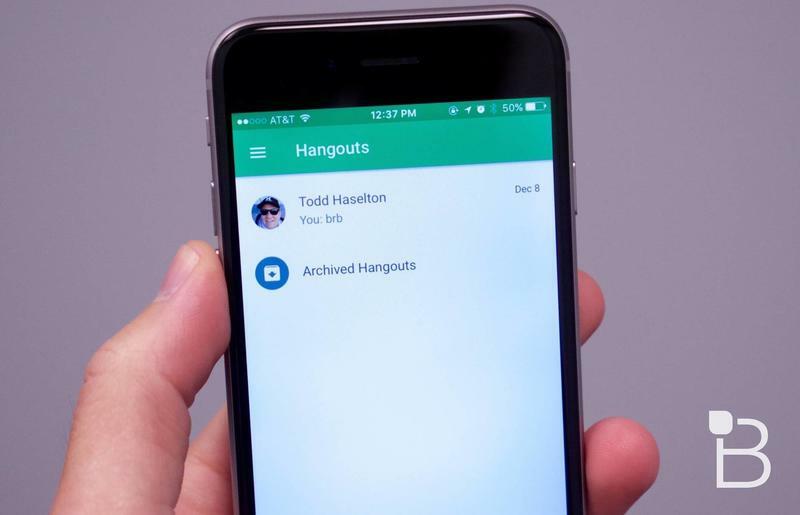 One possibility is that the Hangouts team wants to focus its efforts on making the platform better without worrying about SMS and MMS functionality. But, otherwise, the source didn't provide Phandroid with an answer. The silver lining here is that Project Fi and Google Voice functionality will remain, so all is not lost. It sounds like Google took two steps forward, and one step back. Apparently the update will prompt users to head on over to Google's dedicated Messenger app when the update to Hangouts hits. Having to bounce back and forth between two messaging apps doesn't sound like the most intuitive way to communicate, but we'll no doubt hear Google's reasons if this does come to pass.